Perhaps you’re a first time for sale by owner (“FSBO”) home seller or a new real estate agent. You may be frustrated by the amount of time you’ve wasted on unqualified buyers showing up at your listing. So just how do you vet apartment shoppers without being rude? Should I ask them to fill out a buyer questionnaire? This is a common approach by many real estate agents. However, this is one of the least effective methods possible for one very simple reason. It’s an impersonal time demand on a stranger who is undoubtedly a busy working professional. Moreover, there are more than 10,000 other listings on the market in any given day in NYC. Why should they bother with your listing if you’re going to be this difficult to interact with? Remember, just because you want to qualify the buyer doesn’t mean they aren’t qualifying you at the same time. If you show early on that you will be a very demanding seller or listing agent, why would someone bother to work with you in the first place? Even though they could just be “window shopping,” home buyer inquiries are extremely valuable and the buyers themselves should be treated with the utmost respect. Even if you have an extremely popular listing, you should not demand buyers to fill out a form just so you can have a more standardized way of organizing your leads. Sometimes the most obvious idea on how to qualify home buyers isn’t the best. Hi Sam, thanks for your inquiry! Let us come back to you shortly with a few times for you to view. How early are you in your search? Are you pre-approved for a mortgage? This is a perfect example of a first response to a listing inquiry you’ve received. It’s polite, thanks the customer immediately and makes use of an exclamation mark to demonstrate enthusiasm. It also answers the buyer’s question of when they can view the apartment so it’s not a one-way exchange of information requests from you. Lastly, because people have short attention spans we’ve limited ourselves to two, open-ended qualifying questions. Open ended questions such as asking how early a buyer is in their search are great because it allows the buyer to potentially provide a lot of information voluntarily. Asking whether the buyer is pre-approved for a mortgage is not an open ended question because it could easily result in only a yes or no response. However, this is an important qualifying question to find out early on because it demonstrates how serious the buyer is. A pre-approval letter means the buyer has spent time being underwritten by a bank for a mortgage. The bank has typically received some documentation from the buyer and has partially underwritten them. The pre-approval letter conditionally pre-approves a buyer for a mortgage and purchase price of a certain size. This is great as it means a bank has already seriously vetted a buyer for you! A pre-qualification letter is not as strong. These can be received after a 15 minute phone call with a mortgage banker with no document verification. You must call a lead immediately if they have provided you with a phone number. Especially among the younger generation, no one picks up their phone these days from unknown callers. Therefore you must call within the first 10 minutes for them to have a reasonable chance of picking up your call. After a hour, the buyer will have forgotten about the inquiry and the chances of you reaching them on the phone decreases dramatically. Any good salesperson will admit that getting a prospect on the phone dramatically increases the probability of a transaction. Therefore, instead of complex questionnaires or lengthy questions by email, simply call the buyer within 10 minutes of receiving their inquiry! Pro Tip: Always ask for a phone number. When you receive a listing inquiry without a phone number, you should always respond with something like: “Hi Sam, what’s the best number to reach you?” Often times buyers will feel compelled to reveal their phone number as it was them who originally asked something of you right? Don’t feel guilty about asking for buyers’ phone numbers. After all, if they want to see your million dollar apartment, wouldn’t it seem reasonable that you want to speak with them first? Especially among the younger generation, it may be unnerving to have to speak with a stranger on the phone. You may be tempted to talk too much. Please don’t! Remember, the buyer reached out to YOU to ask about your listing. Just be confident (yet friendly) and let them talk. If you need to kick-start the conversation, just ask them an open ended question like “how long have you been searching for?” or “what neighborhoods have you been looking at?” Quite often the buyer will begin a long monologue about their entire home search history! Lastly, since you are the listing agent you’ll naturally have lots of color to share with the buyer on your property and how much action you’ve gotten. As a result, you should never have to worry about not having anything to say to the buyer. Are you working with a broker? Are you currently renting or do you own a place? If you’re renting, when does your lease end? What’s the price range you’ve been looking at? How much are you looking to put down? What neighborhoods are you most interested in? What times work best for you to view? Would you consider both condo’s and co-op’s? Do you have a budget in mind for monthly payments? Who is the apartment for? Do you care about having a doorman? Are walk-ups okay or do you need an elevator? Any preference which which direction the windows face? Lending standards have tightened dramatically in the United States since the Great Financial Crisis of 2008. Even today, mortgage bankers are still dramatically more cautious in their underwriting standards. 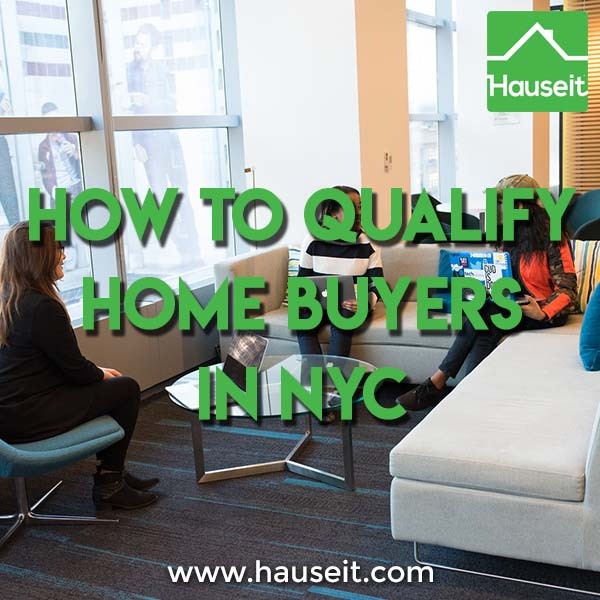 As a result, your question of how to qualify buyers can be more than adequately solved with the assistance of a mortgage banker at your disposal. You should refer buyers to a mortgage banker to get a pre-approval letter if they don’t already have one. It’s an easy way for you to have someone else thoroughly vet the buyer’s financials. Moreover, having a pre-approval letter handy will be useful for the buyer to demonstrate to listing agents that they are serious. This will be important when they are trying to schedule private showings and more so when they want to submit an offer. 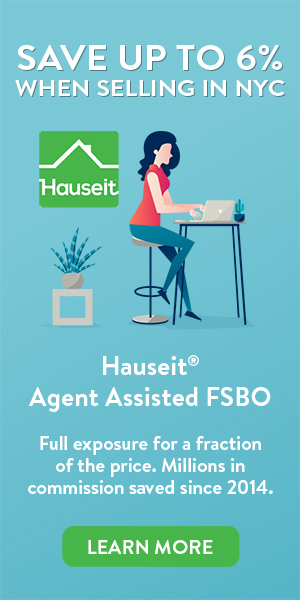 If you need a mortgage banker to help you pre-approve and qualify buyers, please don’t hesitate to reach out to us for a referral. Pro Tip: Major banks like to see buyers have less than a 35% housing expenses to gross income ratio. Housing expenses include mortgage principal and interest, home insurance, real estate taxes and maintenance/common charges. Update: Some banks are beginning to loosen lending standards for high net worth clients. One major New York headquartered bank revealed to us in early 2017 that they were planning to release a mortgage lending program with no requirement for housing expenses to income ratio as long as the buyer has $2 million in liquid assets.